This special interest groups is focused on exploring and advancing E-health activities that relate to psychosocial oncology. Interested in volunteering with this special interest group? IPOS members can submit their interest in volunteering by emailing info@ipos-society.org. 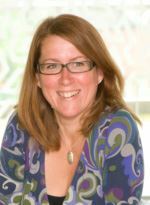 CHAIR: Tania Estapé, PhD. (Spain), is a clinical psychologist leading the Psychosocial Oncology Department in FEFOC Foundation (www.fefoc.org) in Barcelona, Spain, focused mainly on Breast (www.cancermama.org), prostate (www.cancerdeprostata.org), elderly (www.mayoressincancer.org) and relatives of cancer patients (www.familiaycancer.org), doing online and presential work. She leads individual and group therapy and some research programs, finishing now a clinical trial to find the best tool to improve knowledge and attitudes in old people towards cancer, with the inclusion of an e-health tool on the internet. She has published some works on psychological assessment of cancer patients via the internet. She is associate professor of Psychology in Open University of Catalonia, and of Health Sciences in Central University of Catalonia, and co-director of the Master on Psycho-oncology in Barcelona University. Afaf Girgis, PhD (Australia), is Director of the Psycho-oncology Research Group at the Ingham Institute for Applied Medical Research & University of New South Wales in Sydney, Australia, with 27+ years of research experience. 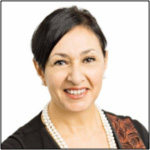 Prof Girgis’ national and international standing in behavioural science and psycho-oncology was acknowledged with the 2012 Clinical Oncology Society of Australia (COSA) Inaugural Psycho-oncology Award, the 2015 Lady Mary Fairfax Distinguished Researcher Award, and in 2017, her work received 3 distinguished awards – UNSW in the South West Distinguished Research Prize, the South Western Sydney Local Health District Translational Research Award, and the South Western Sydney Local Health District Board Award. She has more than 300 publications, over 10,000 citations of her research and more than AUD$53M in research funding. 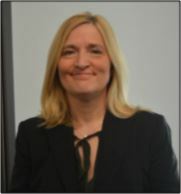 She has a strong commitment to translating research into clinical practice; and a demonstrated track record of effective engagement with service providers, end-users of research and the community, to ensure the relevance and acceptability of interventions aimed at improving cancer care and outcomes. Prof Girgis is committed to training and mentoring junior researchers, having successfully supervised 27 research higher degree students and fellowships to date; and mentored many early career researchers who now have their own substantial research programs. 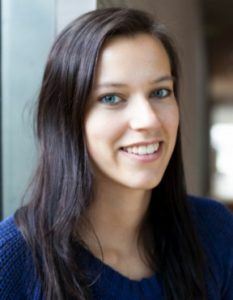 Ms Natalie Bauereiß, PhD Candidate (Germany), Research interests: e-/m-Health, depression, existential distress, meaning-making interventions, advanced disease, person-based approach to intervention development and implementation. Natalie Bauereiß is a PhD candidate in the Department of Clinical Psychology and Psychotherapy at Ulm University, Germany since 2016. As of 2018, she has additionally started her training in psychotherapy. Natalie has been responsible for the coordination of two pilot RCTs evaluating the feasibility and efficacy of internet- and mobile-based interventions for people living with cancer and suffering from depressive symptoms. 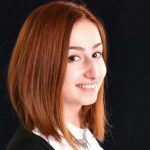 She is now undertaking an international project that aims at developing and evaluating an online intervention for people living with advanced cancer. Her research is based on different psychotherapeutic approaches (e.g. CBT, ACT, existential psychotherapy) and includes qualitative research methods (e.g. expert interviews, focus groups) in order to involve patients and clinicians in the intervention development process. Ms Daniela Bodschwinna, PhD Candidate (Germany), Research interests: e-/m-Health, partners of patients with cancer, cancer caregivers, caregiver burden, dyadic coping, psycho-oncological interventions, group therapy, person-based approach to intervention development and implementation. 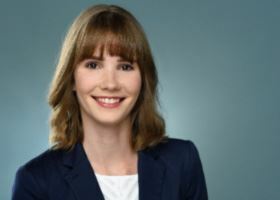 Daniela Bodschwinna is a PhD candidate at the Clinic for Psychosomatic Medicine and Psychotherapy of the University Medical Center Ulm, Germany since 2016. Daniela was responsible for the development and execution of a face-to-face psycho-oncological group therapy for partners of patients with cancer in a pilot trial. Next year the group therapy is going to be evaluated in a RCT. Based on the content of the group therapy, Daniela developed an individual internet-based intervention for partners of patients with cancer. The internet-based intervention is adjusted by using qualitative research methods (e.g. think-aloud study, expert interviews) and the feasibility and efficacy will be evaluated next year in a pilot RCT. Girgis A, Durcinoska I, Gerges M, Kaadan N, Arnold A, Descallar J, Delaney GP, PROMPT-Care Program Group (Avery S, Carolan M, Della-Fiorentina S, Masters K, Miller A, Ng W, Sandell T, Tran TT, Levesque JV). Study protocol for a controlled trial of an eHealth system utilising Patient Reported Outcome Measures for Personalised Treatment and Care: PROMPT-Care 2.0. BMC Cancer 2018, 18:845; DOI:10.1186/s12885-018-4729-3. Beatty L, Kemp E, Butow P, Girgis A, Schofield P, Turner J, Hulbert-Williams N, Levesque J, & Koczwara B. A systematic review of psychotherapeutic interventions for women with metastatic breast cancer: Context matters. Psycho-Oncology, 2018, 27, 34-42. DOI: 10.1002/pon.4445. Kemp E, Koczwara B, Turner J, Girgis A, Schofield P, Hulbert-Williams N, Levesque J, Spence D, Vatandoust S, Kichenadasse G, Roy A, Sukumaran S, Karapetis C, Richards C, Fitzgerald M, Beatty L. Internet use and preferences among women living with advanced breast cancer. The Breast Journal. (in press).